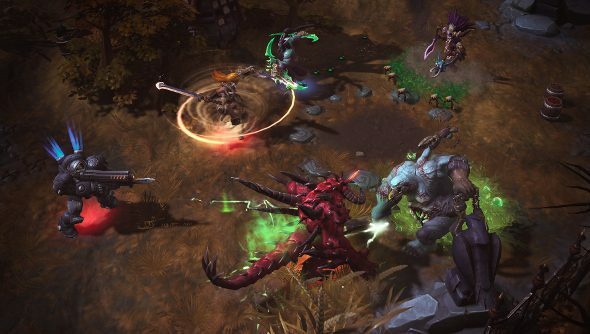 When Blizzard revealed the artifact system for Heroes of the Storm last week, the reaction from alpha players and prospective players was overwhelmingly negative. Myriad concerns were voiced, including how it would potentially lead to grinding for gold and players with more time to grind having a distinct advantage over other players right from the start of a match. Blizzard has taken the backlash in its stride, noting that the whole point of the technical alpha is to gather this type of feedback. “As a result, we have decided to remove the artifact system from Heroes of the Storm with a patch scheduled for later today,” the HoTS team revealed today. The team will continue to look for ways to add value to gold, which was the reason why the artifact system was conceived. Blizzard has also reworked the talent unlock system. It was implemented in the last patch to add a sense of progression and give players time to get to grips with the heroes – but the feedback has caused them to change the pace of the unlocks. It was taking too long. From today’s patch, reaching hero level 4 will be three times faster, while all talents can be unlocked within the space of three games in with friends in Heroes of the Storm’s versus mode. “We hope this will achieve our goals for maintaining gradual talent exposure while lowering the barrier to entry substantially enough to be acceptable to the average player,” the developer said.